We like to think of ourselves as a pretty friendly bunch! We offer our patients a strong, diverse medical and operational healthcare experience. All of our Doctors are accredited with the Antenatal Shared Care Program at the Royal Hospital for Women, Randwick. We are also accredited by the Royal Australian College of General Practitioners to train doctors who have decided on a career in family medicine. They join Your Doctors Randwick to learn about things that are unique to the general practice environment, for example the complexities of Medicare and the process of running a small business. We take on a number of registrars, who complete their 6 month terms with us. All registrars have up to date knowledge, therefore you can be very confident if you are seeing the 'new doctor'. Dr Sam loves looking after families: Kids, Mums, Dads and everything in between! He draws on his experience as a dad of three, plus postgraduate training in Sports Medicine and Paediatrics. 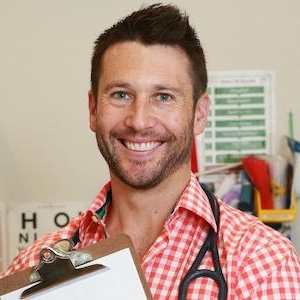 Dr Sam also writes regularly for the acclaimed parenting website Kidspot.com.au, and contributes as a health expert across a variety of Australian TV, radio, and print media. Dr Sam has been a practicing general practitioner since 2005. He grew up and studied in Tasmania before moving to Sydney to start his career with the Army as a combat medical officer. It was here that he served as the Regimental Medical Officer for the Army’s parachute infantry regiment (3 RAR) and had the honour of being rewarded for his leadership with six deployments – the highlight to Afghanistan as a helicopter retrieval and coalition trauma hospital doctor – caring for injured coalition soldiers and local nationals. Sam is one of our principal doctors, a GP Supervisor and also regularly supervises medical students from various universities. Dr Wilkinson studied at the University of Sydney and has worked in general practice for over 20 years. Her special interests are paediatrics, adolescents and women’s health. She particularly values fostering long term relationships with families. Dr Patrice graduated from the University of Liverpool, United Kingdom in 2009. After working in a wide variety of hospital specialities in Bristol and Bath, she later completed her GP training in Wiltshire. She moved to Australia with her husband for a new adventure. After spending a year living and working in Melbourne, she has recently relocated to Sydney. Dr Patrice enjoys the breadth of general practice and her interests include preventative medicine, sexual and reproductive health, mental health and paediatrics. Dr Kermode grew up in Randwick, graduating from UNSW and subsequently trained at Prince of Wales and Prince Henry Hospitals before commencing General Practice in the local area. For Dr Kermode, the emphasis is on the word General – he particularly enjoys the challenges and variety of medicine he is able to practice. He has experience in, and values, caring for all age groups from children through to older adults. Dr Southgate graduated from the University of New South Wales. She has interest and experience in all facets of Family Medicine and enjoys caring for families from the cradle throughout the entire lifespan. She has worked as a GP in the local area for over 20 years.